Rowe bed and breakfast travel guide for romantic, historic and adventure b&b's. Browse through the iLoveInns.com database of Rowe, Massachusetts bed and breakfasts and country inns to find detailed listings that include room rates, special deals and area activities. You can click on the 'check rates and availability' button to contact the innkeeper. Rowe, Massachusetts features the Massachusetts Museum of Contemporary Arts. Williams College is a historic campus which definitely deserves to be visited. 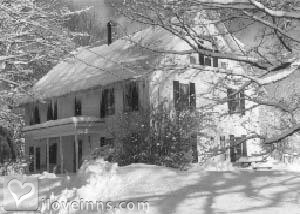 Because of its proximity to the ski areas of Vermont and Massachusetts, Rowe bed and breakfast inns can be filled with skiers during winter. Preferred skiing destinations are Prospect Mountain Ski Area, Bousquet Ski Area, and Jiminy Peak Ski Resort. Theatre productions are important here and especially during the Williamstown Theater Festival. Another important feature near Rowe is Bennington Battle Monument, commemorating a historic battle during the American Revolution. Other important attractions near Rowe are Gallery 19, Children's Museum Berkshire, Porter Phelps Huntington Museum, Hadley Farm Museum, and Smith College Botanic Garden. By Maple House Bed & Breakfast.